Item is used, in very good cosmetic condition and fully working. The photos show the actual item for sale. No unpictured cables, accessories or documents are included. An basic antenna is included to get you started but for optimal results you should ideally plan on using an outdoor antenna with a full view of the sky. 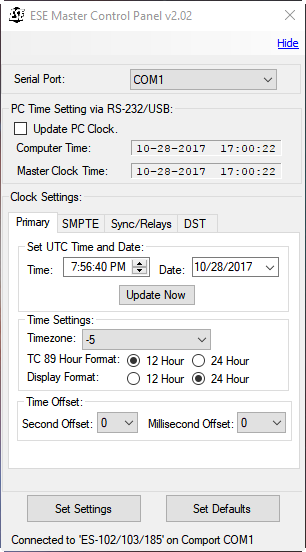 Note that you will need the ESE control application (which may be downloaded from their website - http://www.ese-web.com/ftp/MasterControlPanelv2.0.zip) to change the timezone and other parameters. 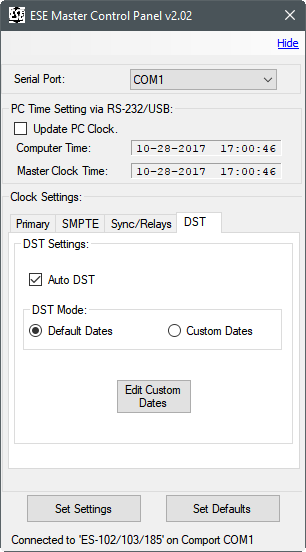 The control applet allows you to set the DST rules manually for worldwide compatibility. No printed manual is included, but a copy may be downloaded here if required. 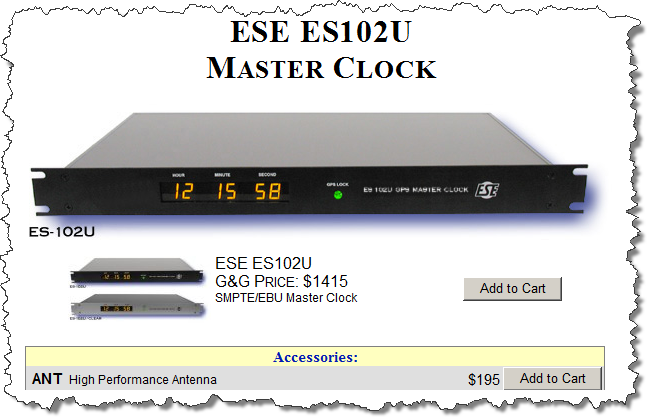 The ES-102U is a low-cost yet very accurate GPS Master Clock/Time Code Generator. 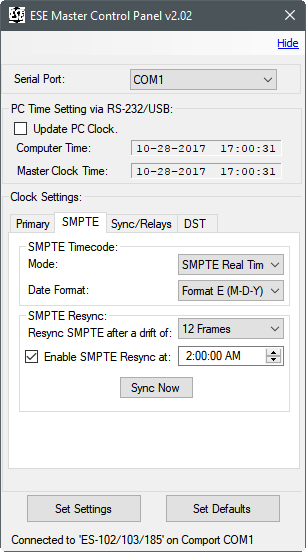 The unit receives time and date information from Global Positioning System satellites and supplies this data to the user in the form of four different types of time code ... SMPTE/EBU, ASCII (RS-232C & USB), ESE-TC89 and ESE-TC90. Six yellow LED displays (.56") provide a digital display of the Hours, Minutes and Seconds data. Two (2) One Pulse Per Second outputs and a GPS "Lock" output are also standard features. 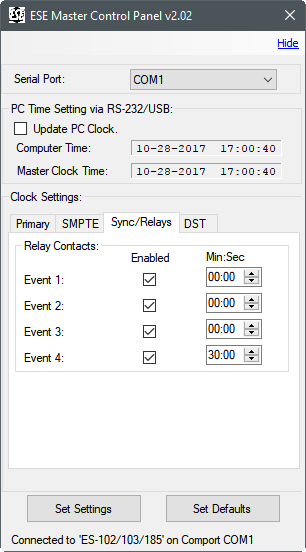 A twelve-channel receiver is employed that is capable of tracking up to twelve satellites simultaneously, although reception of only one is required for time data to be output.